As we learn more details about last week’s tragic balcony collapse in downtown Berkeley, we are reminded how often we rely on the assumption that the buildings in which we live, work, and play are sound. When this proves not to be the case, injuries and fatalities often follow. In addition to premises liability claims against property owners (discussed in last week’s blog post, linked below), these tragedies can give rise to claims against those who built the faulty structure. Today’s blog post from our San Francisco construction defect injury law firm looks at this subset of civil injury litigation. According to the San Francisco Chronicle, the investigation in the balcony collapse appears to be focusing on the company responsible for waterproofing the structure. The paper says Berkeley Mayor Tom Bates has suggested that, while the investigation is still underway, there is a “high probability” that water caused the wood supporting the fourth-floor balcony to weaken. The article also cites experts who have examined photographs of the damage and identified signs of moisture-related rot. Further, these experts suggest the photos show damage to the waterproof membrane intended to protect the wood supports, damage the experts believe dates back to the balcony’s construction that may have allowed moisture to invade the structure and rot the beam. For purposes of civil injury litigation, construction defects are split into two key categories: design defects and building defects. Design defects can be thought of as a problem in the planning and construction defects as a failure in execution. Both forms of construction defect cases are essentially negligence claims. As with any negligence claim, a plaintiff must prove the existence of a duty of care, a breach of that duty, and the fact that the duty was the proximate cause of the resulting injury. The specifics of the duty of care depend on the claim type. In design defect cases, the problem can be traced back to an architect, engineer, or other design professional. Importantly, a construction defect case against one these individuals falls under a special category aptly termed “professional negligence.” Section 600 of the California Civil Jury Instructions explains the special standard used in these cases (applicable to architects, engineers, lawyer, and other non-medical professionals): “[A/An] [insert type of professional] is negligent if [he/she] fails to use the skill and care that a reasonably careful [insert type of professional] would have used in similar circumstances. This level of skill, knowledge, and care is sometimes referred to as “the standard of care.” Essentially, this standard takes the place of the “duty” element in a traditional negligence case. Expert testimony is critical to establishing the standard of care in professional negligence cases. Building defects can typically be traced back to a contractor or subcontractor. These parties are not considered “professionals” when it comes to a negligence claim. This means the case against a contractor or subcontractor for an injury arising out of a construction defect will rely upon traditional negligence principles and the duty involved is one of ordinary care. Civil litigation cannot undo construction defect tragedies, but it can provide compensation to the victims and a stern warning that may help prevent future injuries and deaths. 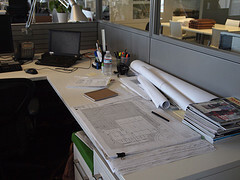 If you have been injured or lost a loved one because of a building or design defect in Northern California, we can help. Call to arrange a no-cost consultation Attorney Greg Brod, a San Francisco building defect injury lawyer with specific expertise in the area of balcony collapses.